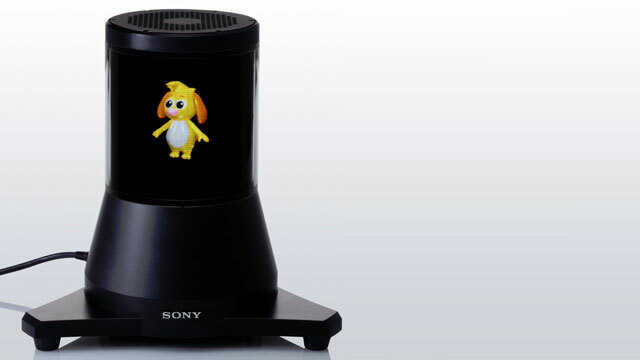 At Ceatec exhibition 2009 in Tokio Sony presented a prototype of a real volumetric 3D-display. The display has a cylindrical form of 27 cm height and 13 cm diameter and can display stereoscopic images at 24bit color depth to multiple users simultaneously. Although Sony does not comment on the technology used, it seems that the cylinder contains a rotating array of LEDs behind a parallax barrier. 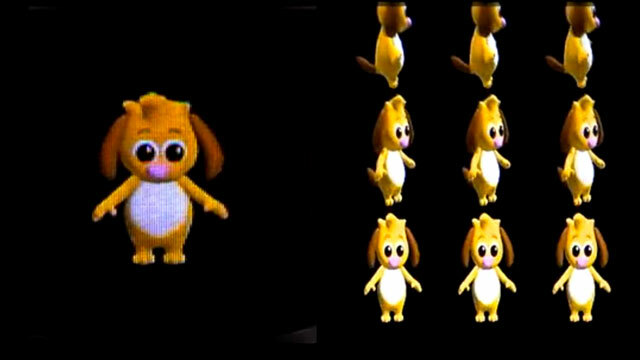 This is similar to the Seelinder prototype which has been presented at SIGGRAPH 2005. On Sony’s website (in japanese) it says the display resolution is 96 × 128 pixels at 360 viewpoints distributed over 360 degrees. There is no information about volume refresh rate however. At Siggraph 2010 the same display was presented under the brand name RayModeler.